Adirondack Whitewater Rafting Companies: Guided White Water Rafting Tours In The Adirondacks! Experience An Adirondack Whitewater Rafting Adventure On A Guided White Water Rafting Tour! 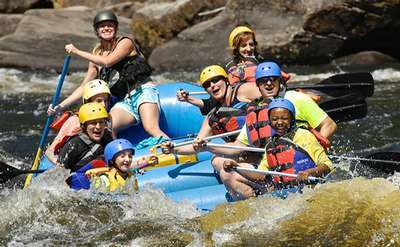 Discover the excitement of Adirondack whitewater rafting and experience a thrill ride only mother nature can produce! Feel the spray, take in the incredible scenery, and be part of an unforgettable adventure. Look below companies providing guided Adirondack whitewater rafting tours on the Sacandaga River, Moose River, or Hudson River. and get ready to cross another adventure off your bucket list!